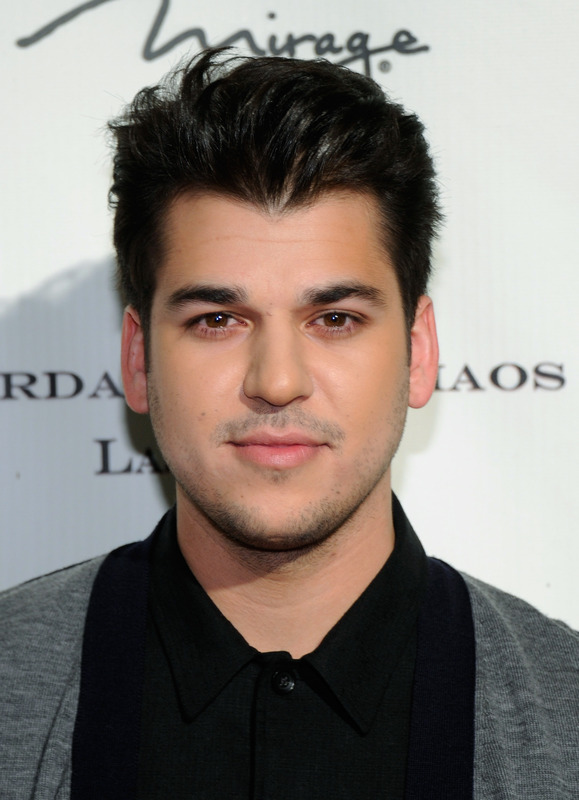 If you've been counting down the days to Rob Kardashian's return to public life (and Keeping Up With The Kardashians) like I have, the wait might be almost over. In a new series of Snapchat posts, Blac Chyna announced she's training Rob Kardashian herself, and the newly engaged couple also gave us an update on how he's doing on his journey to a healthier life. I'll admit it, since they started dating earlier this year, I've been kind of perplexed by their relationship, but now, I'm starting to come around. If these two encourage each other to become the happiest, healthiest versions of themselves, maybe their union makes a little more sense than I thought. In one video, Chyna gets Rob's consent to train him, and in another, she films him stepping on the scale and announcing his current weight and his goal weight, which Chyna says is totally in his grasp. The videos have a really positive, upbeat vibe, and that's something I really like about these two. So for the next five weeks — ending on Chyna's birthday, May 11 — she's going to be Rob's personal trainer, and for some reason I don't doubt that she'll be totally successful. And as confused as I still am about how this whole relationship came to be, I think it's definitely been a good thing for Rob. Over the past few years, he has struggled with his health, both mental and physical, and it's something his family has said they're worried about many times over, whether it was on KUWTK or through a different public outlet. Last year, Kim Kardashian called him out in Rolling Stone for drinking beer and playing video games with his friends instead of doing things that might improve his wellbeing, and in the past, Khloé Kardashian has said he doesn't really take his family's advice when it comes to his health. But now, it seems like all that has changed, and the only variable that seems to be different in his life is that he's with Chyna. I've always believed that when a relationship is right, your partner inspires you to be the best possible version of yourself, and if Rob thinks getting fit will make him that person, it seems like that factor is definitely in play here. And maybe it's just because I'm dying for him to come back to KUWTK, but I'm so happy that Rob seems happy these days. The world may not be prepared for Blac Chyna to become a Kardashian just yet, but hopefully that changes and their relationship sticks. As weird as it seems, it has to be working for them, and that's what really matters. Long live RobChyna!